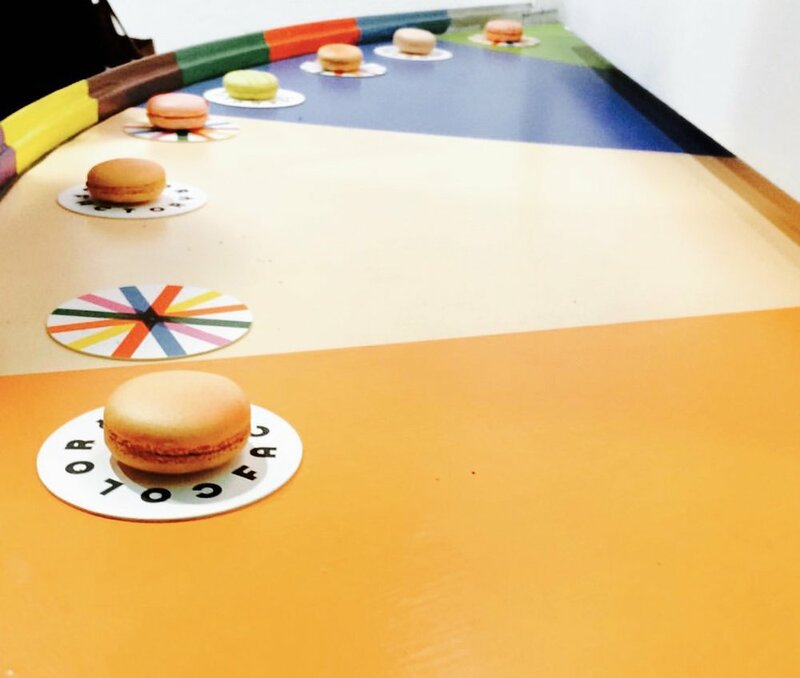 If you live in the Bay Area, your social feeds are likely flooded with photos and boomerang's from the newest pop-up museum, The Color Factory. This colorful exhibit is home to 15 perfectly curated experiences — each focused on a different color. The Color Factory has quickly gained buzz, selling out through September with scalpers on Craigslist selling tickets for as much as $175 each (they're originally priced at $32). The pop-up museum is an Instagrammers dream with sponsored photo activations, powered by RF ID technology, throughout the experience. The best part? Nobody will shame you for posing for photos because chances are they're all there for the 'gram too. The Color Factory is the brain child of Jordan Ferney, founder of the blog Oh Happy Day (and one my party supply go-to, Oh Happy Day Shop). Jordan partnered with Leah Rosenberg and Indigo Bunting founder Erin Jang. Together, they deliver a memorable experience at 575 Sutter Street. I can only hope that this is the beginning of many pop-up museums in San Francisco (hopefully you were one of the 50K who snagged their tickets for Museum of Ice Cream). 17 of my coworkers and I headed out to The Color Factory together for an afternoon of disco balls, balloons, charcoal lemonade, sprinkle cookies, confetti, giant ball pit and more. So thankful to work with a creative group who loves Boomerangs as much as I do.